My real introduction to chiropractic happened in 1995 when I was fortunate enough to hear Dr. Michael Kale speak about ” Upper Cervical Specific Chiropractic.” Dr. Kale is a legend in Chiropractic and has influenced many of today’s finest chiropractors. After being taught by Dr. Kale and undergoing Upper Cervical Care for myself I began to experience the first real improvements in my health. I was injured in a car accident early on in my life and shortly after began to suffer with chronic sinus problems, allergies, headaches and fatigue. As a result of Upper Cervical Specific care the improvements to my health and life have been profound. I no longer suffer from these conditions and my immune system is fantastic. I was raised in Midland, Ontario by two wonderful parents, the middle child of three boys. 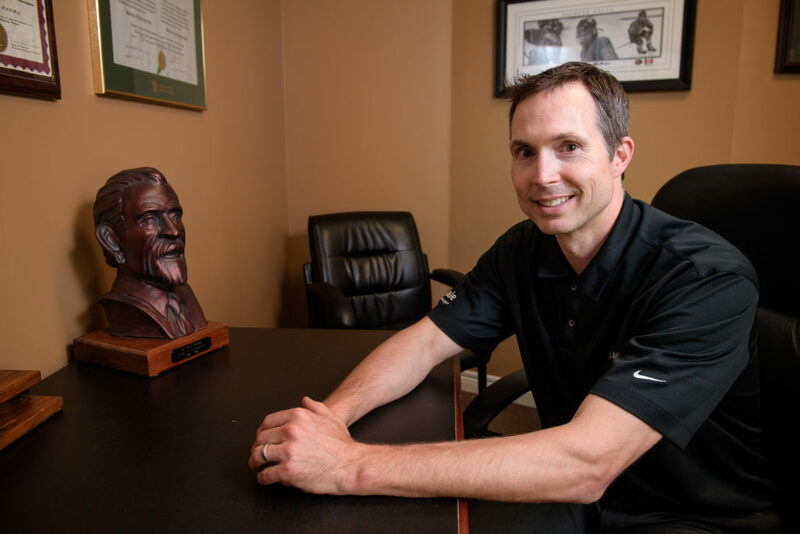 After attending The Canadian Memorial Chiropractic College in Toronto, I began a private practice as an Alliston Chiropractor in 1996. I have been on Upper Cervical Health missionary trips to Moldova and to Hondouras. In January 2010, I will be one of twelve Upper Cervical Doctors going to Nicaragua. Also, I am an International Instructor of the Upper Cervical Specific health procedure. I reside in Alliston with my lovely wife Tammy and our amazing son, Brendan. Our family enjoys healthy living through Upper Cervical Chiropractic and we wish the same for you. I am an active member of the community and have been a member of the Alliston Lions Club since 1997. I love sports and enjoy playing ice hockey, ball hockey and basketball. I also volunteer my time to coach and referee childrens’ ball hockey, ice hockey and basketball. Our vision is to “help create the healthiest community in the world!” We welcome you to join us on this journey! 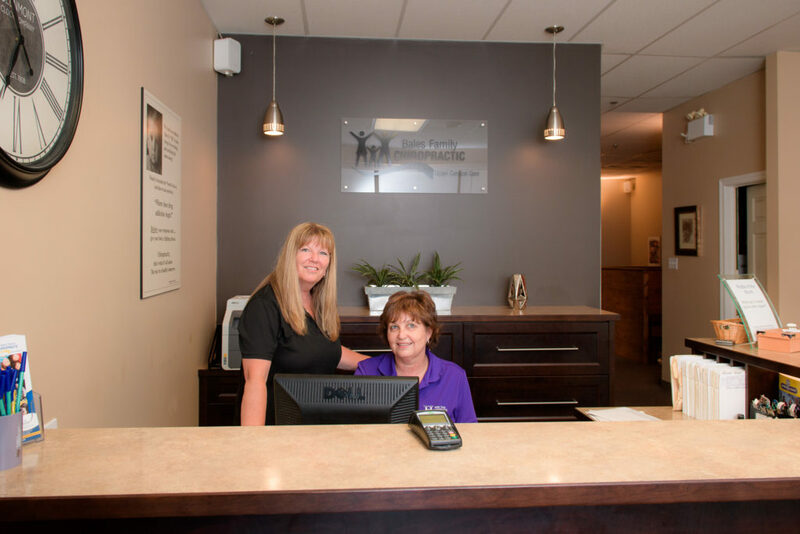 Our chiropractic assistants, Denise and Linda are always ready with friendly smiles when patients enter our office.Denise has been our chiropractic assistant since November 2003. Her primary responsibilities are to schedule appointments, assist patients with their financial and extended health insurance needs to minimize patient involvement and out of pocket expenses. She also assists Dr. Bales with clinical notes as well as Neurological testing. Denise is always ready with a friendly smile when patients enter our clinic. Denise has been our chiropractic assistant since November 2003. Her primary responsibilities are to schedule appointments, assist patients with their financial and extended health insurance needs to minimize patient involvement and out of pocket expenses. She also assists Dr. Bales with clinical notes as well as Neurological testing. Denise is always ready with a friendly smile when patients enter our clinic. Linda has been a chiropractic assistant in our office since July 2016. She is available to assist patients with their needs, from assisting them with their paperwork, scheduling appointments, to checking them in and out of the office. Linda is a very upbeat and friendly person who thoroughly enjoys interacting with our patients. If you have questions or comments, please feel free to speak to either one of them. You are in good hands at our office. At Bales Family Chiropractic and Wellness Centre we have a trained team of people who are ready to serve you.